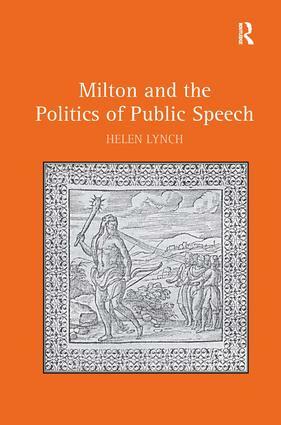 Using Hannah Arendt’s account of the Greek polis to explain Milton’s fascination with the idea of public speech, this study reveals what is distinctive about his conception of a godly, republican oratory and poetics. The book shows how Milton uses rhetorical theory - its ideas, techniques and image patterns - to dramatise the struggle between ’good’ and ’bad’ oratory, and to fashion his own model of divinely inspired public utterance. Connecting his polemical and imaginative writing in new ways, the book discusses the subliminal rhetoric at work in Milton’s political prose and the systematic scrutiny of the power of oratory in his major poetry. By setting Milton in the context of other Civil War polemicists, of classical political theory and its early modern reinterpretations, and of Renaissance writing on rhetoric and poetic language, the book sheds new light on his work across several genres, culminating in an extended Arendtian reading of his ’Greek’ drama Samson Agonistes. Helen Lynch is Lecturer in Early Modern Literature and Creative Writing at the University of Aberdeen, UK.